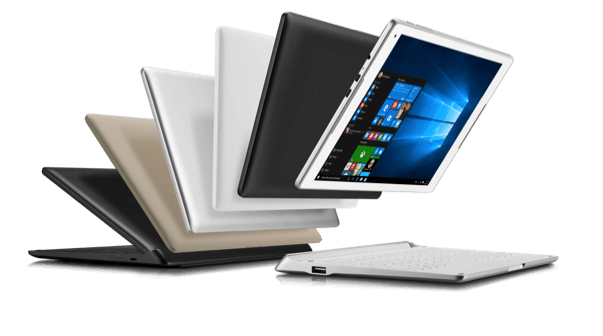 Increasing its offering of Windows devices, ALCATEL announced the launch of its PLUS 10 2-in-1 device, running on the latest Windows 10 operating system. 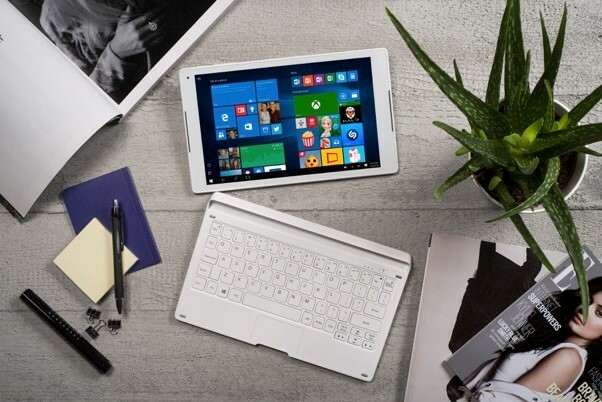 “We are excited to welcome ALCATEL to the Windows ecosystem and add their innovative LTE 2-in-1 tablet to our Windows device portfolio. 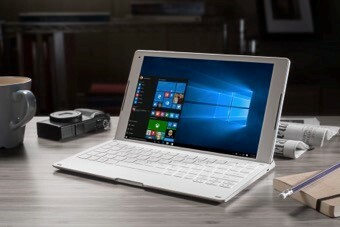 The PLUS 10’s unique features, combined with Windows 10, provide the optimal balance between productivity and entertainment from wherever you go,” said Peter Han, Vice President, Worldwide OEM Marketing, Microsoft Corp. Mobile office: With its compatible 4G/Wi-Fi-connected keyboard, PLUS 10 offers a complete mobile desktop experience. It can be used in laptop mode to type documents or create spreadsheets, and in dock mode to display presentations or slides. With its multiple ports — rare to see in this device category — PLUS 10 further shows its hard-working sensibility, by enabling connections to a hard drive, mouse, USB key, secondary screen and more. In addition, PLUS 10 has a default memory of 32 GB that can be ramped up with an external SD card for extra space for holding pictures, videos etc. Entertainment center: PLUS 10 can be used in dock mode to view videos or movies. To top it off, the dual front speakers, with immersive 3D sound, coupled with the high-resolution (1280 x 800) IPS screen technology, make film watching and gaming an extra pleasure. Travel companion: Exceptionally convenient to carry, PLUS 10 is compact and 40 percent lighter than an average laptop. 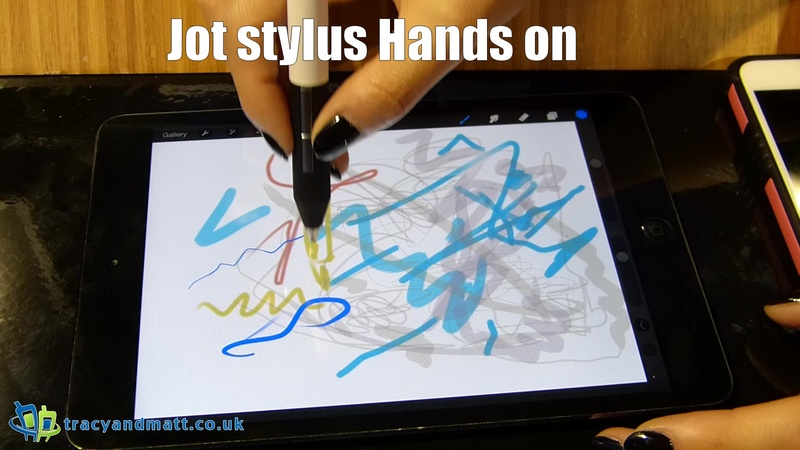 When used in tablet mode, without the keyboard, it is even more portable and is an ideal companion for travel or commutes, to browse the Web, play games or serve as an e-book reader. PLUS 10 is equipped with a double battery. The tablet and 4G LTE keyboard offer a total of 8,410 mAh, which lasts a full 8-hour working or playing day. The unique, connected 4G LTE cat 4 (150Mbps) keyboard works double-time to serve as a Wi-Fi hotspot for up to 15 users. To complete PLUS 10’s long list of functionalities, it has both a front and rear-facing camera, with front flash which is ideal for video calls. PLUS 10 will be offered in several different finishes and in an elegant, subdued palette of colors: metallic silver, matte white, matte volcano black and a unique warm gray leather finish, which is silky to the touch. PLUS 10 will be available for sale in Europe, Latin America, the Middle East and Africa in June 2016. 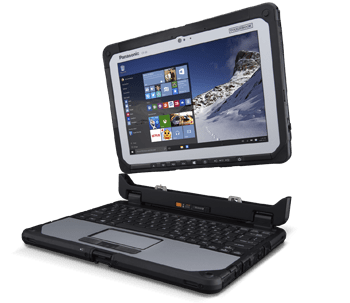 The Panasonic Toughbook CF-20 delivers a new level of unrivalled versatility for mobile business computing as the first fully rugged detachable notebook. Offering the best of all worlds for mobile workers, the Toughbook can be used in 6 different modes to meet every business need. With its glove enabled touchscreen, up to 14 hour hot swappable battery life and purpose-built Vehicle Mount and Desktop Port Replicator, the Panasonic Toughbook CF-20 is an unrivalled rugged mobile business tool. Kitted out with a powerful Intel® Core™ m5-6Y57 vPro™ and running Windows 10 Pro this Toughbook manages to include the Intel® HD Graphics 515 chip and a 10.1” high brightness WUXGA (1920×1200) display featuring a capacitive 10 finger, glove enabled multi-touchscreen. Panasonic’s test show the computer can survive a 120cm drop and comes with Water and dust resistance factor or IP65. The Debo Steadyvid EX Video Stabilizer is a video stabilizing system designed to help reduce shake and stabilize video on cameras and camcorders weighting up to 2.1 lbs (0.95kg). The Steady Vid EX features aluminum construction, comfort grip handle, super-smooth gimbal, polished chrome counter-weight, sprit level, rubberized camera mount and thumb stabilizer. The Steady Vid EX is probably the most affordable full-featured stabilizer on the market. 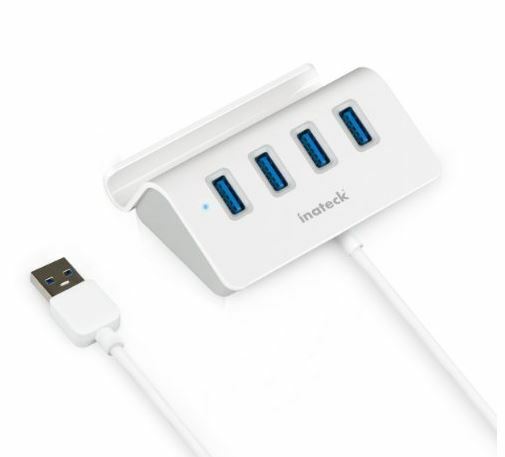 The Inateck 4-Port USB 3.0 SuperSpeed Hub has a lot to offer for a small desktop peripheral. Not only is it compatible with Stand Function for iPad, iPhone, Samsung and More, provide 4 connections to your PC, Macbook or Chromebook at rates of up to 5Gbps but you get a little lip at the front to act as a phone cradle. Don’t believe me? Watch the video. With 4 USB3.0 ports, this Inateck desktop hub can connect 4 USB devices, like keyboard, mouse and USB flash drive at the same time, which needs no extra power. Free yourself from cable-chaos and put your desktop back in order Better work efficiency with nice mood. Want to save more space on your desktop while data transferring from your smartphone or tablet to your laptop? This handy USB3.0 hub with device stand could perfectly meet your needs. Four rubberized feet could keep your tablet or smartphone stable and secure. The streamline design slot allows your device lining on the hub while transferring. VL812 chipset boost the transfer rates up to 5Gbps, set aside less time for syncing and more time for work. This little compact handy gadget was built in PE materials, which makes it lightweight and Ultra-slim. What a great companion for your laptop with additional four ports. The Blue LED indicator on the hub shows the working status of USB data transfer. Lights off when connecting with some non-data-transfer devices, like USB fan or cooler. 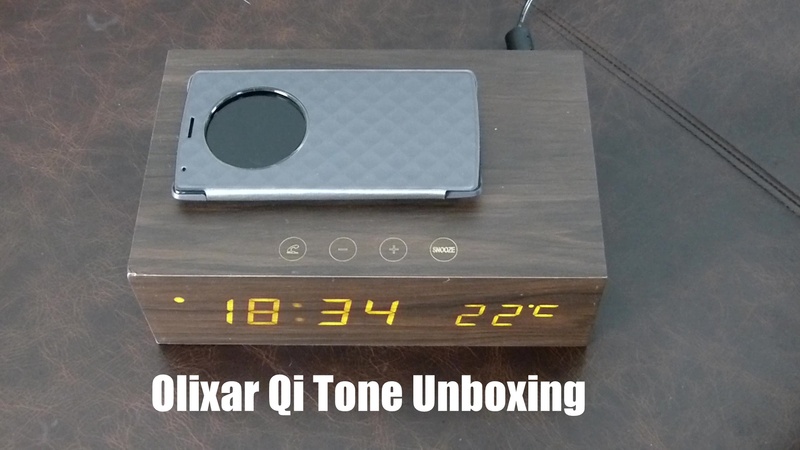 Mobilefun have sent a Olixar Qi-Tone Alarm Clock Bluetooth Qi Charging Speaker with the dark wood finish. Perhaps in the unboxing I come across as not terribly impressed by the Plixir clock, however over the last week of using it I have actually grown somewhat fond of the retro-esq time piece. This is a device that requires very little attention yet subliminally you are using it a awful lot. I have never had a desire to know the temperature at any time, living in Northern Ireland we are either “baltic” or just warm enough to be a little uncomfortable. There is no inbetween. However, having it there I have begun to observe just when the temperature changes to Baltic from warm. That’s started to take my interest. I see it sitting at 21℃ and take note. I will look again when it is baltic and we see 19℃, 20℃ is indistinguishable from 21℃. Then again there is the the large, friendly time placement, basic alarm function and uncomplicated, old fashioned interface. This is genuinely refreshing to just set things manually and not have to rely on sporadic bluetooth connections, fiddling with NFC or internet radio. I now realise I am just pointing niceties that clock radios have had for the last 40 years and it’s welcome here. A device not trying to be more than it needs to be. The addition of Qi wireless charging is the modern age being injected in just the right amount. A practical use of Qi charging combined with the old. The charge rate does not matter and it’s entirely unobtrusive implementation. The same with Bluetooth, it just works and doesn’t try to be clever with it. Speaker quality is perfectly acceptable for what this is. You are not going to be hosting parties with it, in saying that it might actually surprise you, yet it will easily handle calls and a little background music as you get ready for said party. Two USBs on the back assist in the charging of peripherals without Qi, a smartwatch and tablet. You won’t have to dig down the back of the night stand for charge cables anymore. I was not able to playback an MP3 off a memory stick however that sort of method is probably long dead. Just to cover other bits and pieces that stream there is a 3.5mm AUX thrown in for the completest. From afar the clock looks quite elegant however up close the finish does look like the vinyl wrap is stuck on, which it is and takes away from the over all appeal. I will also say that the price does seem a little steep at £100.00 and that is the a major downfall of the Qi-Tone. It is no secret that the gorgeous metal rose gold is taking the world by storm at the moment, especially in the fashion and audio world. We’ve seen it on the catwalks, Apple have chosen it as one of their limited edition colours, and people all around the world are choosing the precious metal for their wedding rings. The rose gold trend has even extended to audio accessories, which means that you will be able to bring in hints of rose gold both into your outfits and into your home without going too overboard. There is no quicker way to kill a trend than to use it too much, and we love rose gold specifically because it doesn’t overpower everything else that you are wearing. 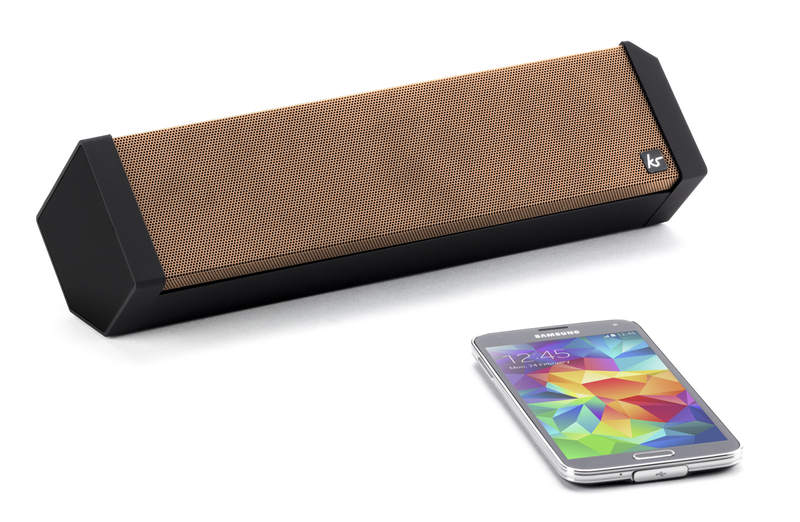 This is the KitSound Boombar 2 in rose gold, an incredible speaker that has 10 Watts of power and up to ten hours of play time. You can either connect your device with the 3.5 mm cable or Bluetooth, and you can even use it as your hands free if you receive a call. This speaker looks fantastic in your home, and we love it. Sometimes less is more, and that is definitely proved by the KitSound Manhattan Headphones in rose gold. The delicate inclusion of the metal means that the headphones are never going to scream at anyone – instead, they are all about class and elegance. 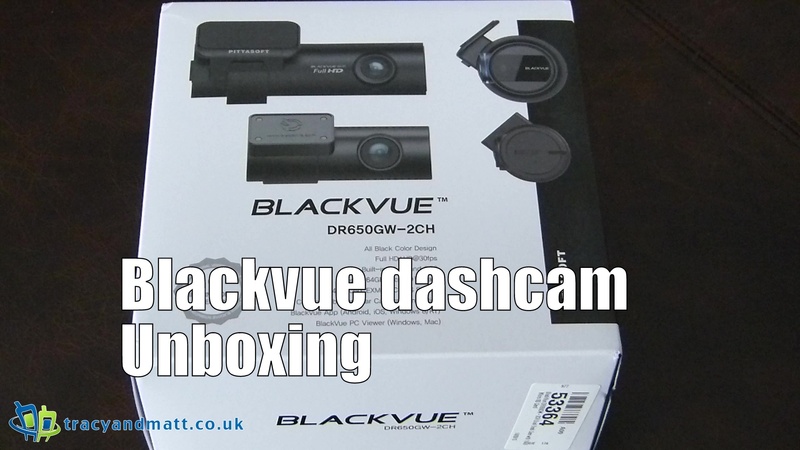 They are also packed with fabulous audio technology, with eighteen hours of play time and Bluetooth connectivity so you are not all tangled up with wires. Last but by no means least we have the KitSound Pocket Hive in rose gold. This speaker will be appearing in a winter issue of GQ, and it is easy to see why so many people are loving this. 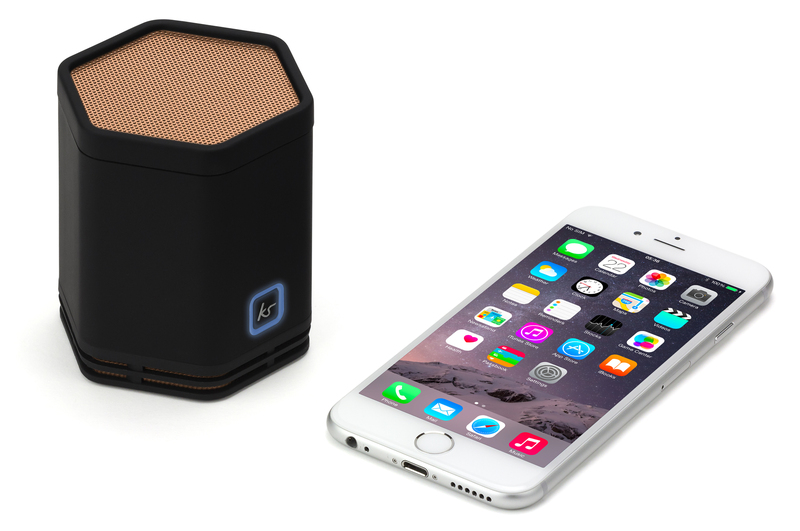 This speaker is only a couple of inches high, and comes with a hard shell carry case so it is incredibly portable. The passive bass radiator has been configured to maximise the depth and richness of sound, and the rose gold grill brings a twist to what is a well loved design. 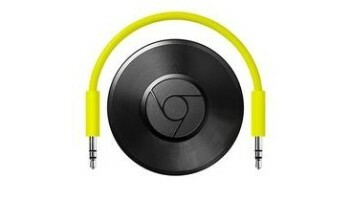 Google launched its colourful new update to the Chromecast yesterday, not one but two different devices. One of the new additions a lot of folks were getting excited about was that music streaming giant Spotify is finally supporting Chromecast. However, after explaining a more about the service today, Spotify say owners users the new Chromecast will be able to ‘cast music directly’ from a phone or tablet right away. The cloud this silver lining is wrapped around is only Spotify Premium subscribers will be able to send content to Chromecast Audio. I’m sure this will only effect a smaller percentage of Spotify users, and perhaps will help Google keep their Play Music as via option of Chromecast users in the future. However there are a fair few out there that will be a little glum about this stipulation. First-gen Chromecast will need to wait for a firmware update enabling Spotify support first from Google. This is expected in the coming weeks. As energy prices rise and the complexity of home heating controls increases, homeowners will welcome an entirely new range of easy-to-use energy saving products that could help to reduce energy bills by as much as 20%1 in a simple yet effective way. 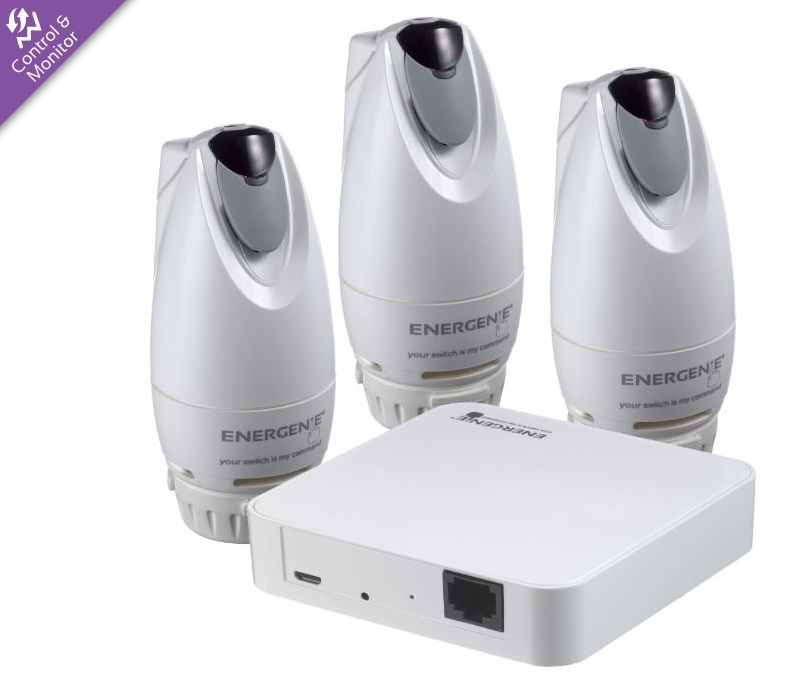 Makers of superior energy saving products and devices, Energenie, have introduced the MiHome range of adapters and monitors, allowing greater control over heating, lighting and electrical appliances that is truly accessible to everyone. Working remotely through either an iOS and Android app or a PC, users can simply scan the Gateway with their phone and immediately begin using the central hub of the system to control the full range of easy-to-use retrofit actuators. The modularity of the system means that users can add products as and when they want, in the knowledge it will be compatible with existing products in the home, and provide a strategic and cost-effective way to gauge energy use and expenditure. The Mi|Home range can monitor the energy usage of individual sockets, groups or scenes in real-time or over time to see which devices consume the most power and should be turned off. Its Smart features mean users can easily set timers and programmes to fit Mi|Home into their schedule, while geofencing enables control of the products from a remote location and IFTTT means triggers can be anything from the weather to Facebook. Oliver Tadd, commercial director at Energenie: said: “MiHome gives consumers back control over their energy consumption. Once the devices have been installed, it allows households to change their energy usage as well as shifting their behaviour towards consuming less energy. “Through the Internet of Things, the devices can be linked to other devices in the home and applications within them talk to each other. “With low installation costs and the best value entry model considered cost-effective given it’s a modular system, households can choose elements from a range of devices depending on the need. MiHome Adapter Plus – manage devices and record consumption.